In these days of digital photography, it's not often I print out photos anymore. Yet, there's something special about holding a good photograph in my hands. I had taken photos of each of Jude's classmates, along with a class photo that I had printed for each of their parents. Since the photos would be going home in backpacks, I needed to create photo sleeves to ensure they made it home safely. It was super simple and lots of fun! Here's what I did. This tutorial is as much about what not to do as it is what to do. 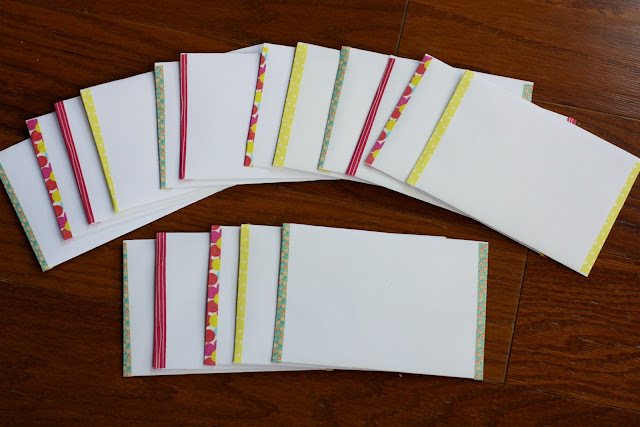 Initially, I tried to make these envelopes using scrapbooking paper. I am not a scrapbooker. Perhaps if I was, I would know tape doesn't stick well to this kind of paper. At first I thought it was the washi tape, but when my scotch tape didn't work either, I soon realized the paper was to blame. The envelopes held up for a couple of hours, but then they started to fall apart. The project was an epic fail. 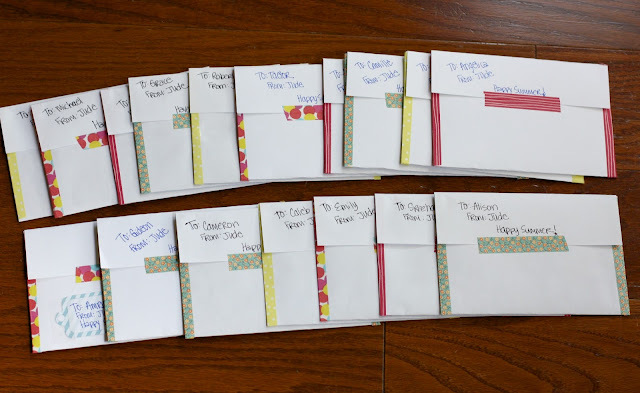 I had to scrap all 17 envelopes and start again. 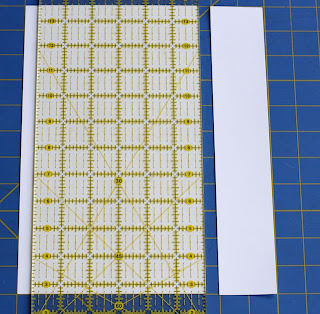 I am happy to report cardstock works beautifully. In a pinch, standard copy paper works just fine, too, though it's less study. Are you ready to make some photo sleeves? Here we go. 1. 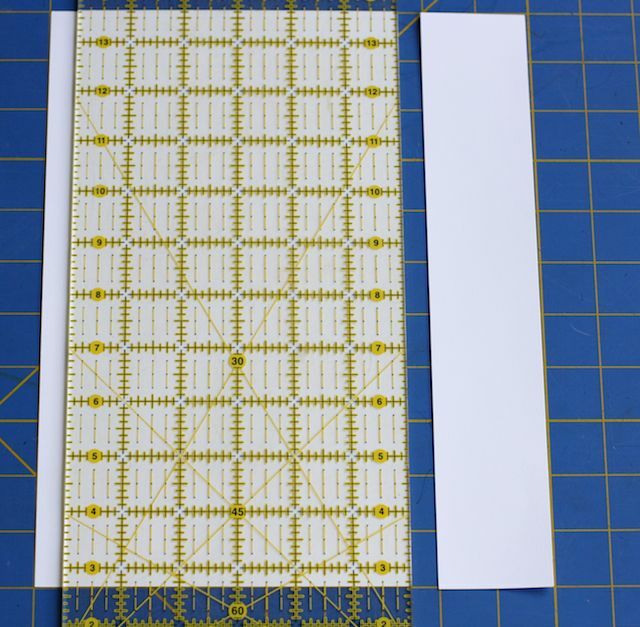 Cut 2 inches off the width of your paper. Your paper now measures 6.5"x11". 2. Fold the bottom edge of the paper up 4.5". 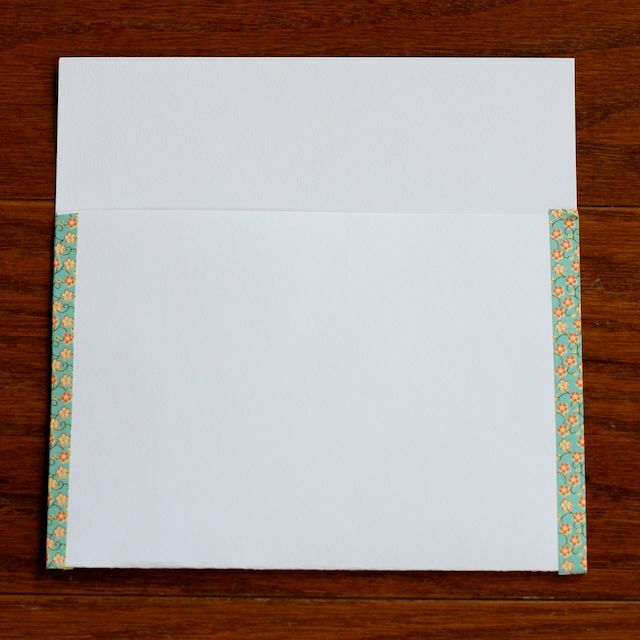 There will be 2" at the top, which will become the flap of the envelope. 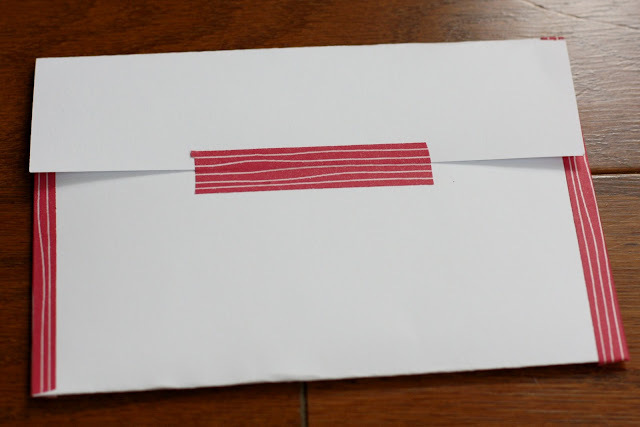 Tape the envelope at the sides using your washi tape. 3. Fold your top down forming a flap. 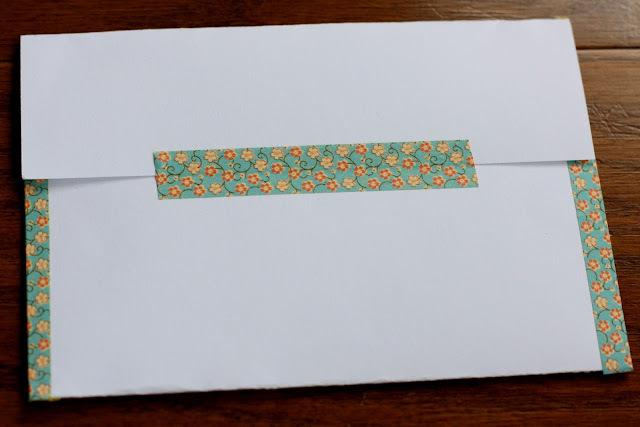 Put your photos inside the envelope and use your washi tape to close the flap. 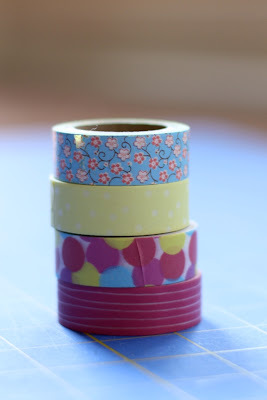 I just bought some of this tape and haven't used it yet! Great idea! Lily, it is so much fun... and addictive, too!